How to Make Home and Can Tomato Soup or Tomato Basil Soup at Home - Easily! Looking for How to Make Home and Can Tomato Soup or Tomato Basil Soup at Home - Easily! in 2019? Scroll down this page and follow the links. And if you bring home some fruit or vegetables and want to can, freeze, make jam, salsa or pickles, see this page for simple, reliable, illustrated canning, freezing or preserving directions. There are plenty of other related resources, click on the resources dropdown above. 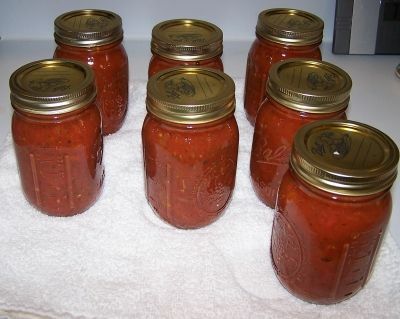 Making and canning your own tomato soup using a pressure canner is also quite easy. And imagine how much better it will taste in the winter, with the flavor of home grown tomatoes! Just scroll down this page to see how to do it, in easy steps and completely illustrated. I like it with the basil, but you can also make plain tomato soup, too. 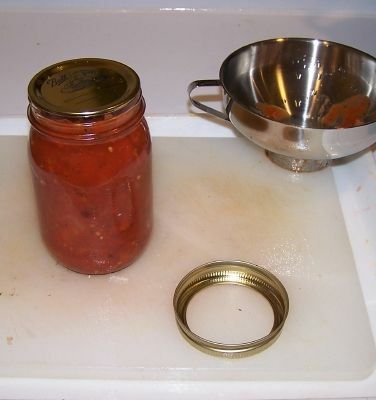 The only special equipment you need is a pressure canner and canning jars with new lids. Caution: Do not add noodles or other pasta, rice, flour, cream, milk or other thickening agents to home canned soups. 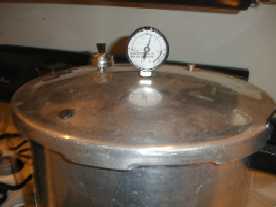 Pressure Canner - see this page for more information). 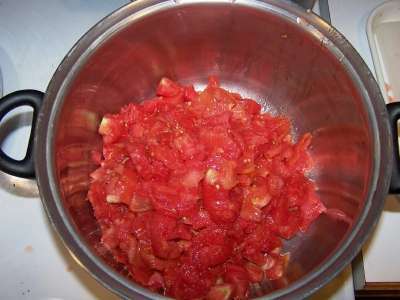 Press the heated tomato soup through a sieve or food mill to remove skins and seeds. 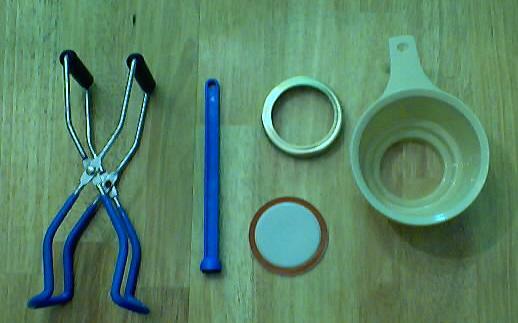 I use the Foley food mill, shown at right. 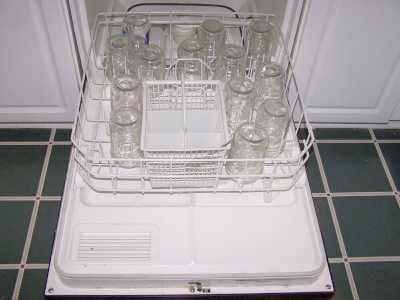 You could also use a blender or food processer instead. Heat the soup again to boiling. Now add the salt and sugar/honey and/or Stevia (in a prepared form like Truvia, it measures same as sugar; if you use another form, you'll need do your own conversion) - or Splenda, if you prefer, . At this point you may have a soup that resembles a thick juice. If that is fine, carry on to step 9. If you want it thicker, you can either simmer it, while frequently stirring to avoid burning it, until it is thick enough, or, better yet, use a crock pot to reduce the volume with less risk of burning. Which setting (low, medium or high) on your particular crockpot works best is something you will have to experiment with. 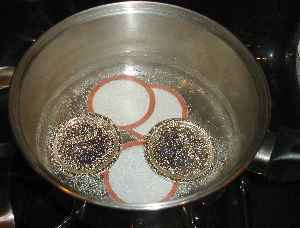 I start on high until it is bubbling, then turn it down to medium or low, just to keep it gently simmering. It then takes a few hours to reduce it to the thickness I prefer! Fill jars with hot tomato soup, leaving 1/2-inch headspace. 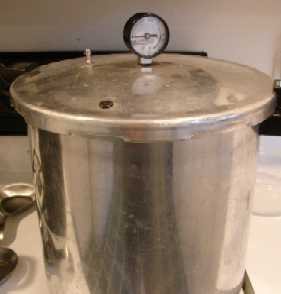 Once the gauge hits 11 pounds (or 10 pounds in a weighted gauge type), start your timer going and process following to the instructions in your pressure canner's manual for vegetable soups, if there isn't instruction for tomato soup. The Ball Blue Book recommends processing at 10 pounds of pressure for 20 minutes, for a similar recipe (Spicy tomato soup). 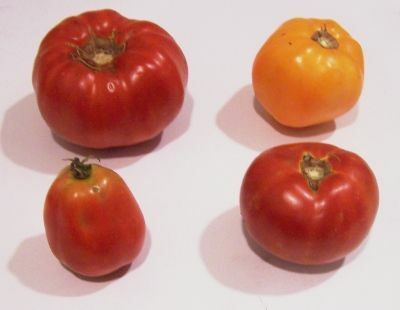 The National Home Food Preservation Center does not have a recommended processing time or recipe for tomato soup, so I use the Ball Blue Book number: 20 minutes. 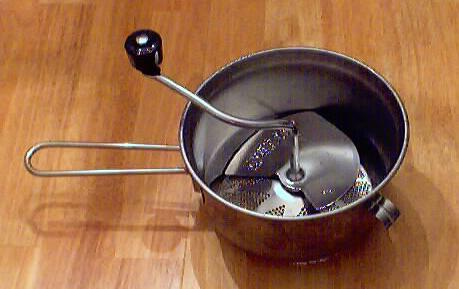 All agree that a pressure canner is required, because tomatoes are borderline as an acid food, anyway, and we add some non acid foods. 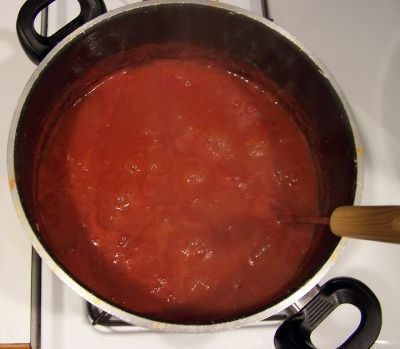 It would be too risk to use a water bath canner, unless you simply made plain tomato juice (see this page), including acidifying it, and boiled it down more. or about $0.90 per pint jar, including the cost of jars, rings and lids. 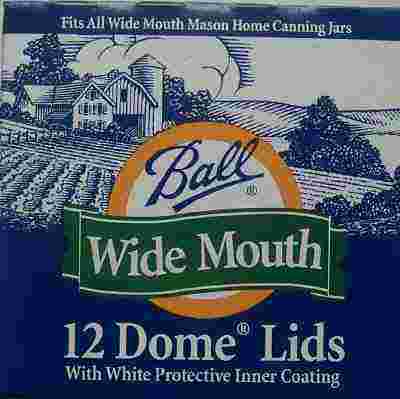 If you already have the jars and just buy new lids, it is only about $0.70 per jar! This document was adapted from the "Complete Guide to Home Canning," Agriculture Information Bulletin No. 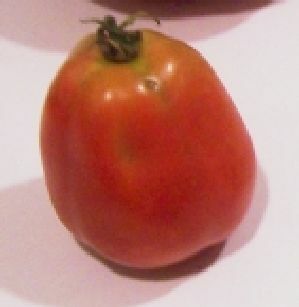 539, USDA, revised 2006, Reviewed May 2009.